This past weekend I celebrated my birthday on Feb. 2. Although it was exciting celebrating with the important people in my life, I have to admit that my birthday seems quite insignificant in comparison to the little weather-predicting animals that come out of their dens and into the spotlight each year on the same day. You might even say my birthday was overshadowed by little groundhogs all over. Ha. Each year on Groundhog Day, groundhogs are said to leave their dens and look for their shadow. If they are said to see their shadow, we are stuck with another six weeks of winter. However, if they don’t see their shadow, then the tradition states that spring will come early. This seemingly odd tradition is often followed and believed by many; however, seeing as I share my special day with these furry friends, I thought it would be interesting to look into where the time-honoured tradition was first established. According to James Skidmore, director for the Waterloo Centre for German Studies, Groundhog Day originated in western Pennsylvania. The tradition was likely influenced by Pennsylvania Dutch people who were descendants of German speakers. “In Germany, or in Germany-speaking Europe, especially in Catholic parts of that area, the second of February was an important day,” Skidmore said. From the Middle Ages up until the twentieth century, Feb. 2 marked a feast day in the church, indicating the presentation of Jesus in the Temple. There was a Jewish purification law for mothers which took place for 40 days after a boy was born. “If the badger is sunning itself in Candlemas week, he’ll spend the next six weeks in his sett [burrow],” the rhyme continues. With Candlemas, many people also began thinking about spring and beginning a new agricultural year. The marking of the new agricultural year meant individuals could begin working in fields and new farm labourer contracts would be negotiated between owners. 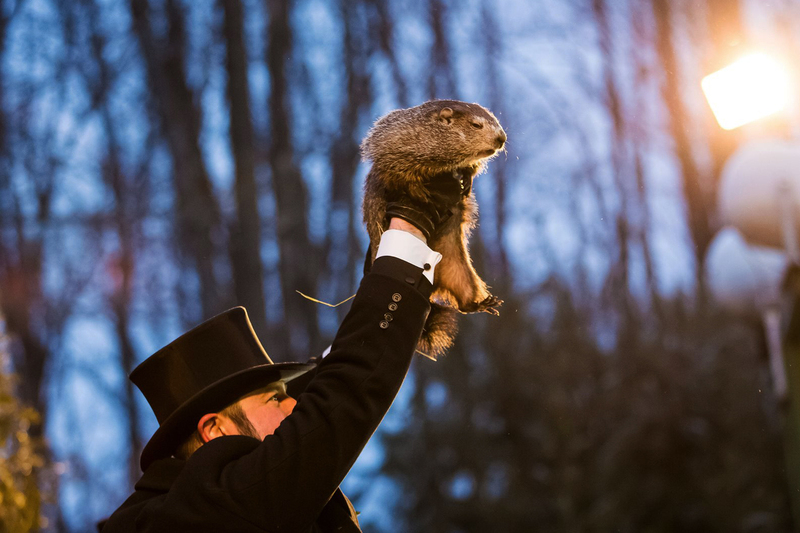 Punxsutawney Phil has been giving weather reports on Feb. 2 since 1887. But his job as “the seer of seers” — or so his fans call him — is year-round. Tourists make their way to Punxsutawney throughout all the seasons to see the groundhog and his wife, allegedly named Phyllis. “I guess, for whatever reason, people started thinking that if it was nice on Feb. 2 and the weather was mild, that meant there would be more winter and not to be fooled — there’s more winter coming,” Skidmore said. With this, those living in German-speaking Europe would keep an eye-out for badgers, indicating that the weather was warm enough for them to leave their den. However, this origin story for Groundhog Day ultimately had to adapt when it came from Europe to America. “It’s the same idea; badgers aren’t common here but groundhogs are, so I think it has kind of transferred over to that animal, if you will,” Skidmore said. And thus, the tradition began in which individuals gather around known groundhogs for the annual weather prognostication. But what is it about these little groundhogs and their weather predictions that has kept the tradition alive and prevalent to this day? Skidmore attributes the long-lived ritual’s prevalence in today’s society to the media and marketing efforts. “I kind of think it’s a media thing and the media has kept it going. I also think places like Punxsutawny really play it up for tourist reasons,” he said. In Gobbler’s Knob — located in Punxsutawney, Pennsylvania — a famous little groundhog named Phil had thousands of visitors. This year, he didn’t disappoint — the little guy predicted an early spring with no shadow to be seen. In this way, Groundhog day has largely become a marketing tool for various cities and towns. Various reports state that Phil’s weather prognostication has only been accurate 39 per cent of the time; however, that clearly hasn’t shown to turn fans away.